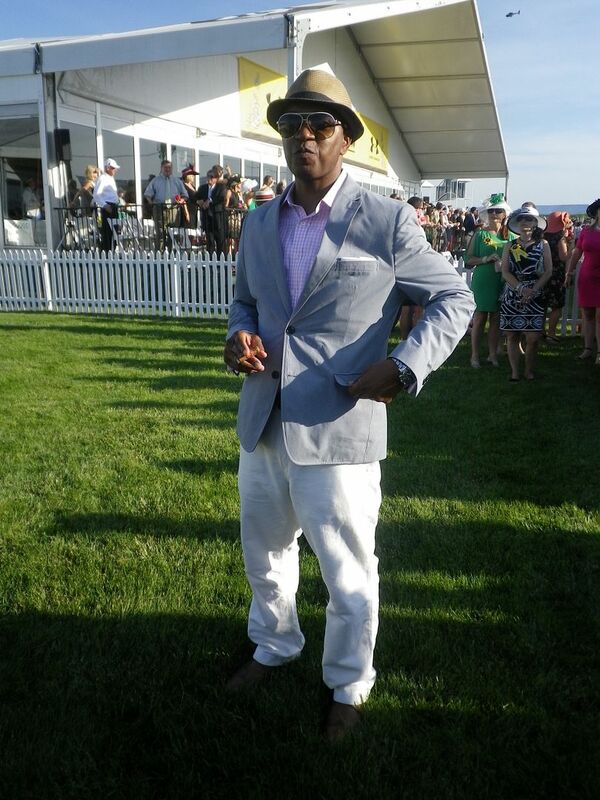 Triple Crown Second Stop: Preakness! You know, I went to a high school where kids actually owned horses. And, I rode horses quite a bit growing up. Not like serious equestrian riding. But, more like, ‘there are horses on the military base so that’s a good actitivity’ kind of horse riding. Despite this, I’ve not really been to any horse races. 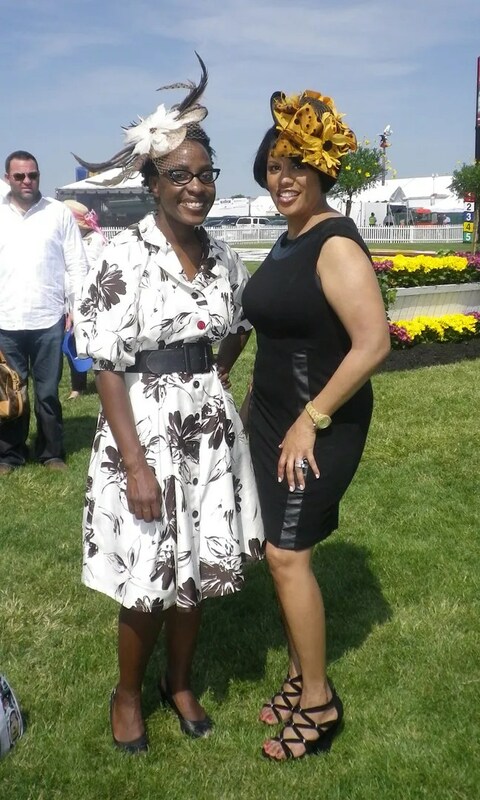 This year though, I got to attend two events at Preakness. Preakness is the second race of the Triple Crown. First is the Kentucky Derby and the third is Belmont Stakes. 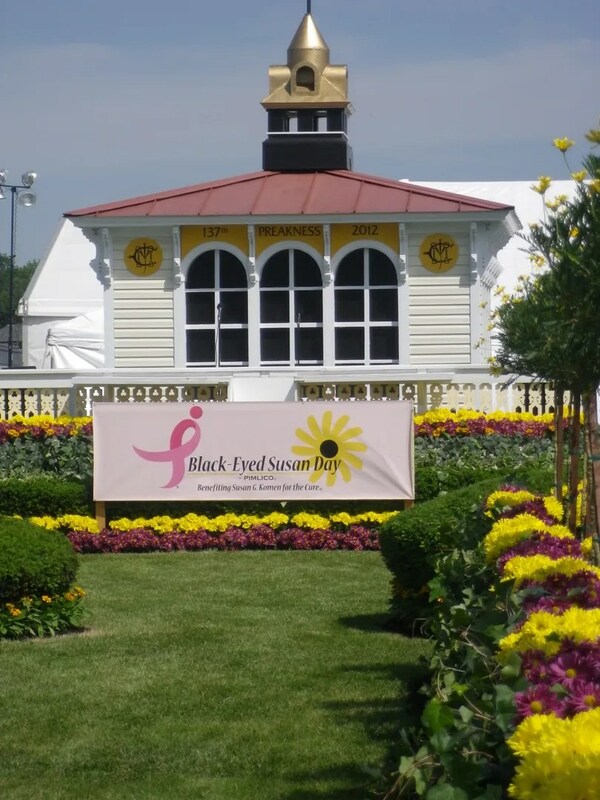 On Friday I was at Pimlico for Black Eyed Susan Day and the running of the Black Eyed Susan Stakes. 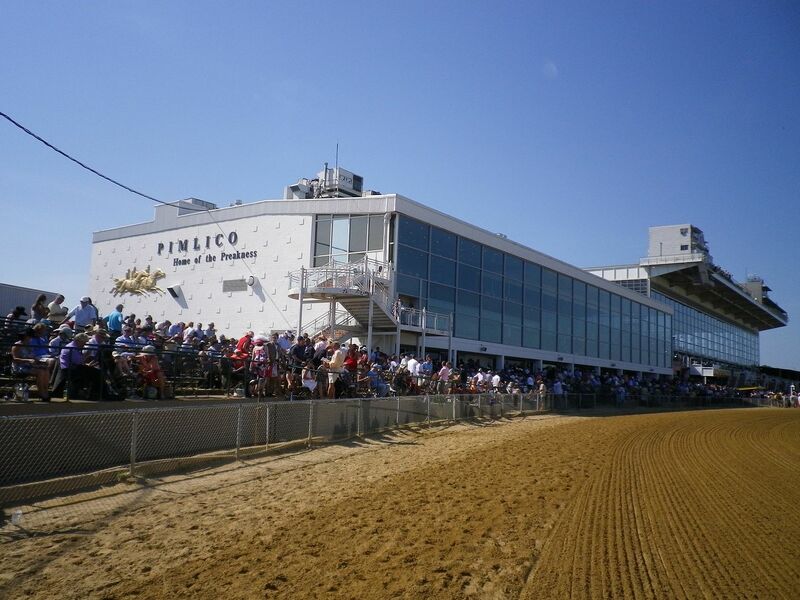 Pimlico was decked out in pink for breast cancer awareness. 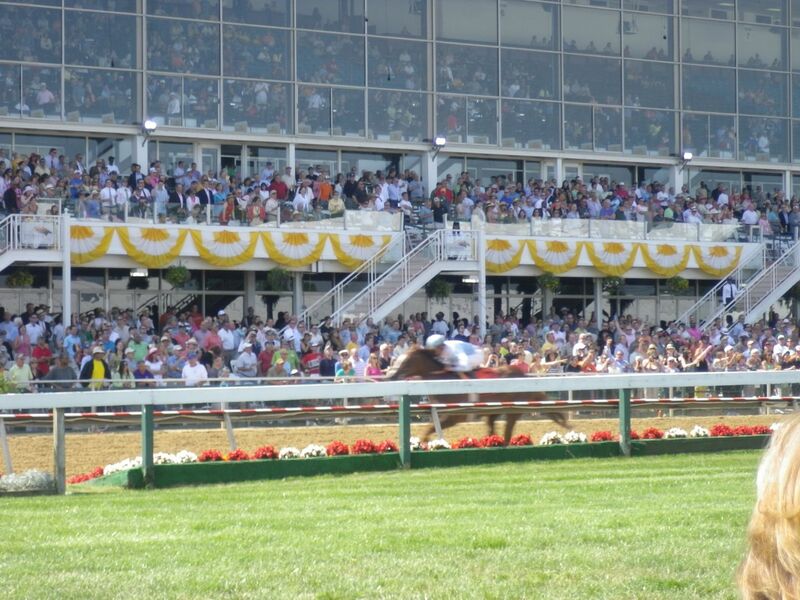 Honestly, if you want the Preakness experience but about 90,000 fewer people, Friday is the day to go. 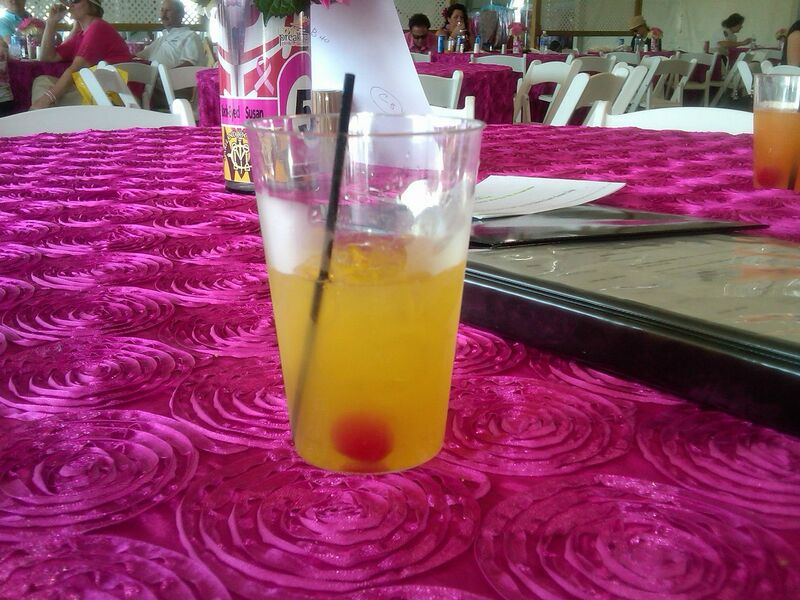 The Black Eyed Susan is the state flower and also a delicious cocktail. Apparently, there is a Belmont Breeze too. How did the Mint Julep get a lock on the racing drink category?? I copped out on both days and wore a fascinator instead of a hat. Friday was this Burda dress. You know what? I’m so ambivalent about this dress but people love it. I fear I look like I’m playing mid 50s dress up. Hmm, just went back and read my review from two years ago. Apparently, back then I thought it was more ‘church’ than ‘work’. It was kind of perfect for the day though. Vintage gentility and all that. Oh, you see that red button? Yeah… so I biked to work on Friday for ‘Bike to Work Day’ (and got not one but TWO flat tires on the way) where I had this dress waiting for me to change into. Except a button was missing. So, I had a spare red button in my desk and just sewed it on. Let’s call it a design feature…. 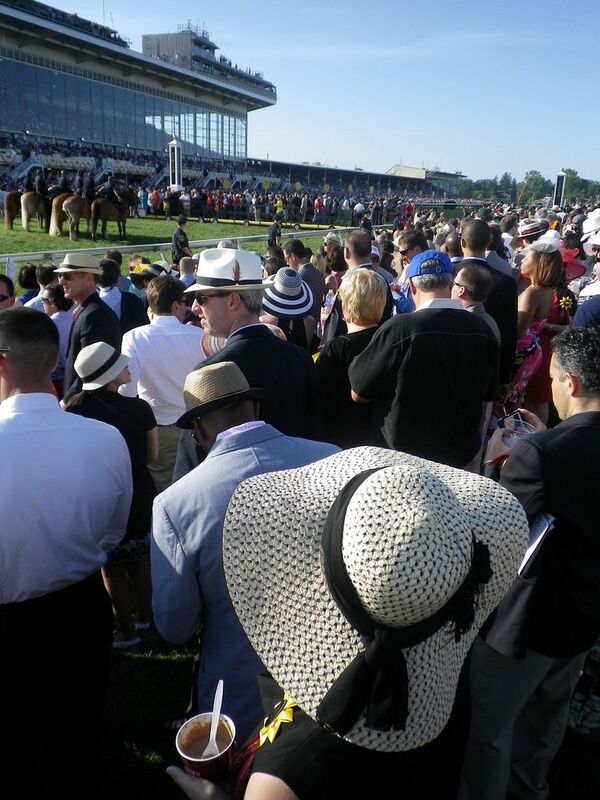 On Saturday about 110,000 people came out for the Preakness. I wore this wrap dress I bought in Panama about four years ago. This is one of my favorite dresses. I like that it’s a woven wrap with a full bias skirt. I don’t like that I can’t wear it to work because of the cleavage. Note that I am actually even wearing a tank top too! I really need to make this pattern up with a FBA. The dress below isn’t quite right for the day (a little dark and out of season), but it matched my fascinator and I’m not doing any more last minute desperation sewing / shopping. At any rate, here are some photos of the fashions, hats and sights of the day. The men looked awesome. Lots of seersucker and linen suits, hats, and far more cigars than needed. I bet on one local horse and it lost. So much for hometown loyalty! **I haven’t been Instagramed. Photobucket added a million great new editing options, including these vintage settings. Thanks for sharing your wonderful day with us and personally I liked both of your choices for the weekend! Wow! I love the photos. You looked gorgeous, red button and all. So much fun! Except for the two flat tires, of course. I love the sleeves on your Panama wrap dress! So did you just walk up to the mayor and say, “Hey there, Mayor-let’s do this picture thing!”? What a fun weekend! You looked terrific in both outfits. 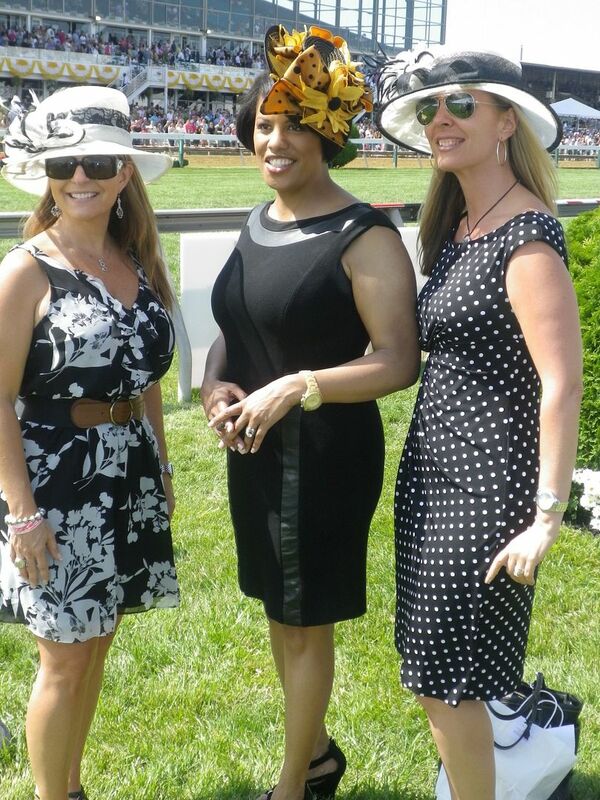 Love the fascinators. 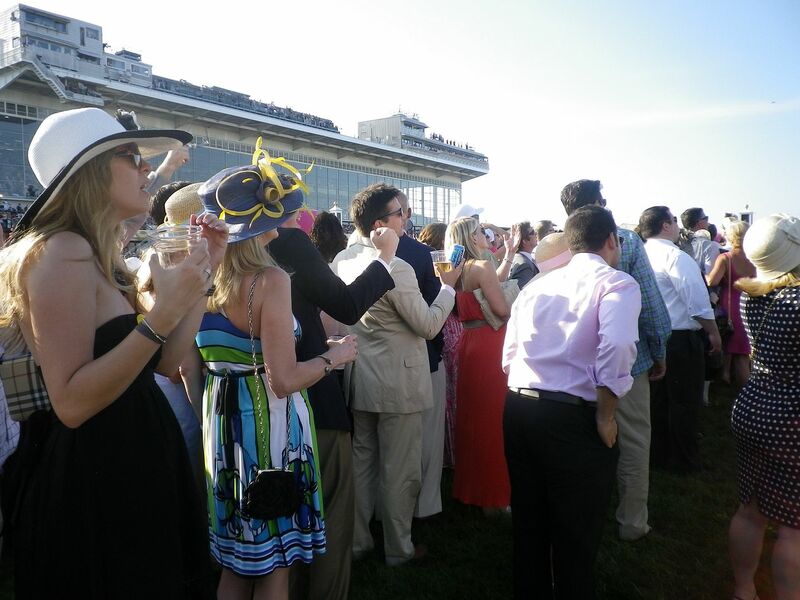 I’ve never been to horse races, but I’d love to do it some day. 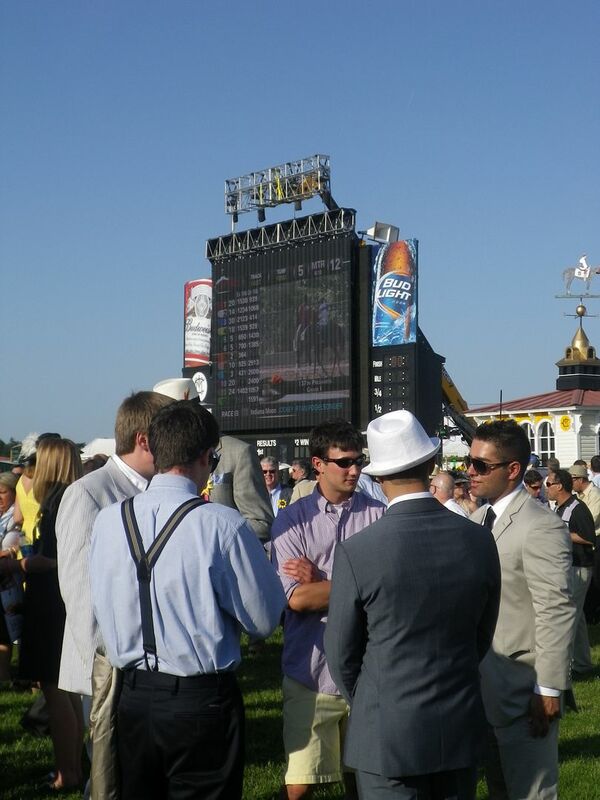 Attending a triple crown race should be on my bucket list! We used to have a nice racetrack in our little town. It was quite a big deal back then. I even sold programs one summer. 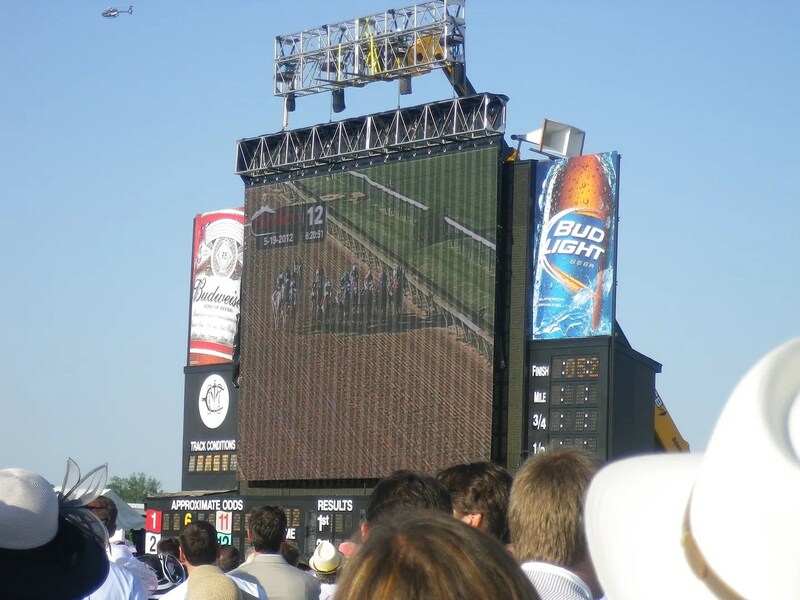 My mom was hooked on horse racing-she worked at a little bar/cafe and every year during the triple crown, she would perch herself on a stool at the end of the bar and yell and scream and pound the bar. Back then as a teenager I was a bit embarrassed, but now I think it was great. I think everybody would come to the bar just to watch my mom. 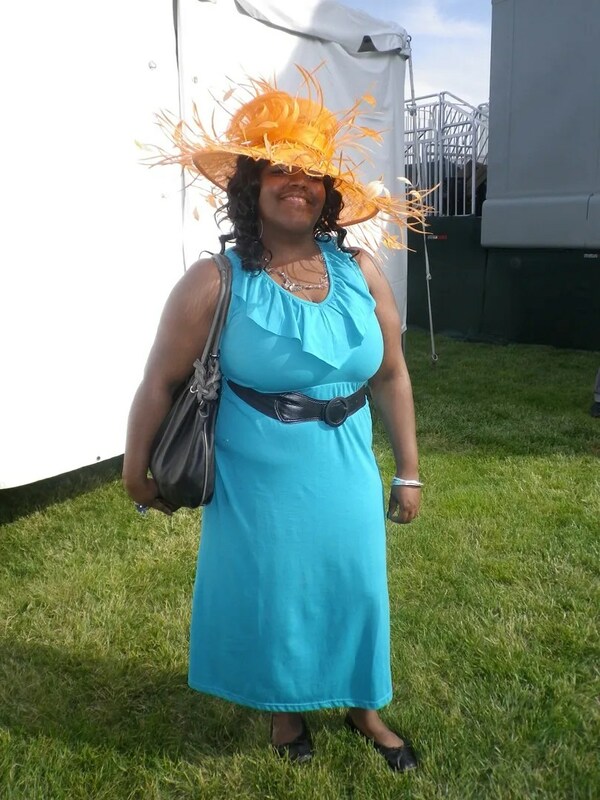 Her dream was to make it to one of the big races, but that didn’t happen. What fun! I think you made good choices for the outfits, you look great! I love both your outfits, though I like the wrap dress best. 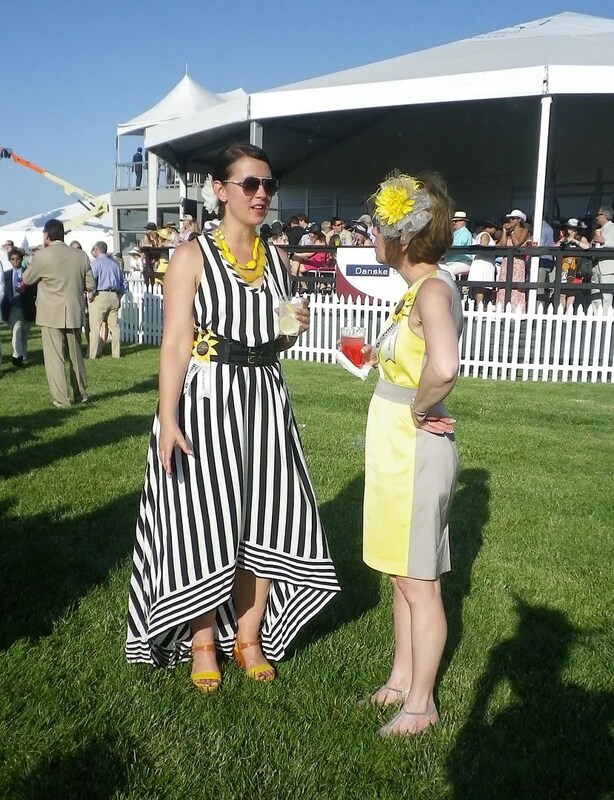 I am CRAZY in love with the black and white sleeveless dress with the horizontal stripe banding at the hem! (4th up from the bottom). There’s a new Vogue pattern out very similar to the top and I already have a McCalls skirt pattern that might work for the bottom. I may have to make a Frankendress if I can find the fabric. Oh man, love these photos! 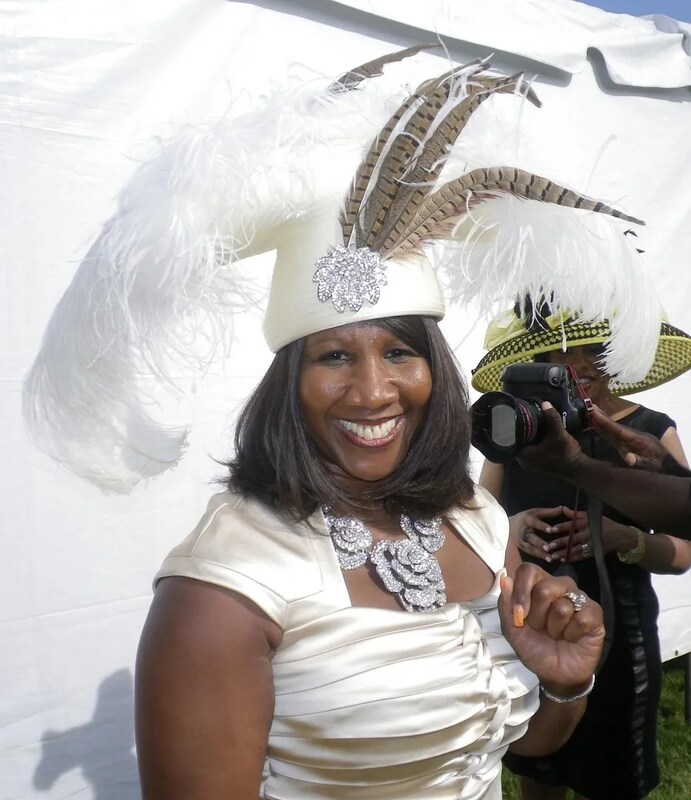 You’re going to have to tell me where you got that fascinator. Love. Looks like you had a lot of fun, and I love the Panama dress. 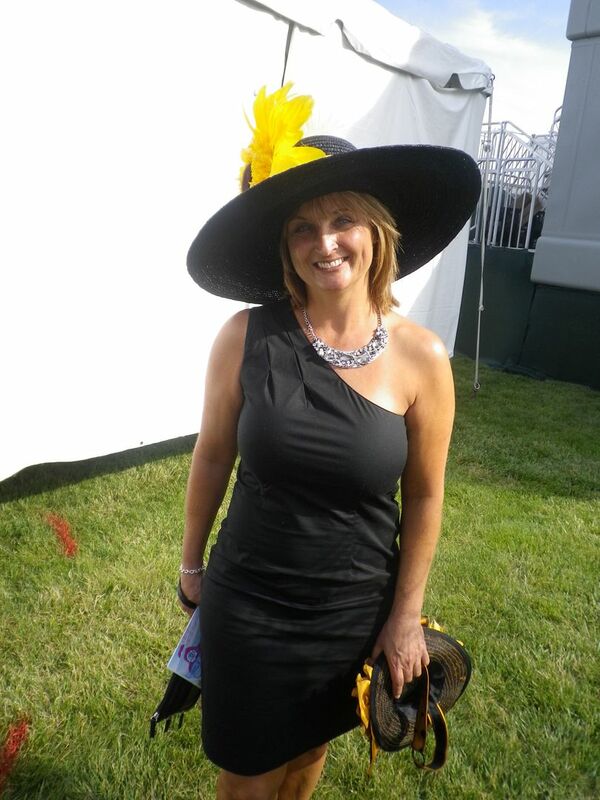 I also have to admit I really like SRB’s fascinator, too – Black-Eyed Susans! 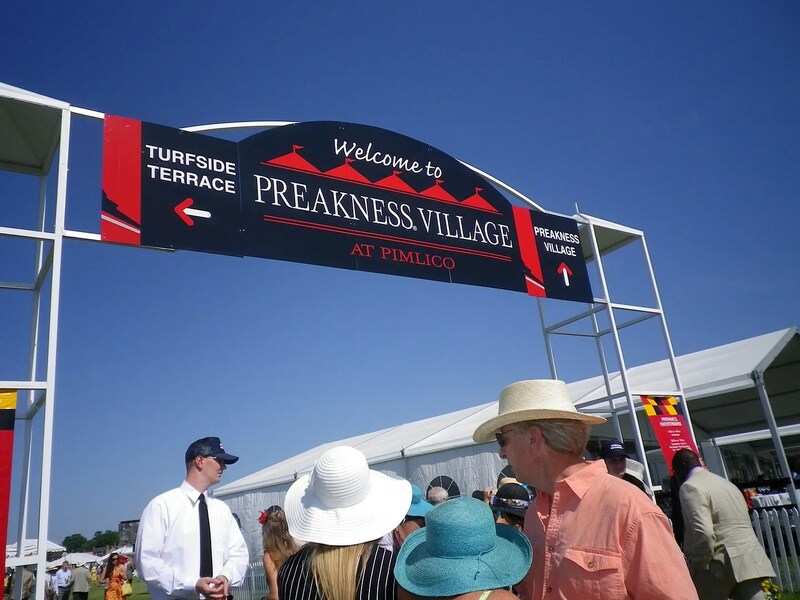 I’ve lived in this city for almost 38 years and have never gone to Preakness. I have had the pleasure of cleaning up the infield afterward with the Aquarium (single most disgusting experience of my life); actually attending has to be so much cooler. I LOVE that Panama wrap dress on you! 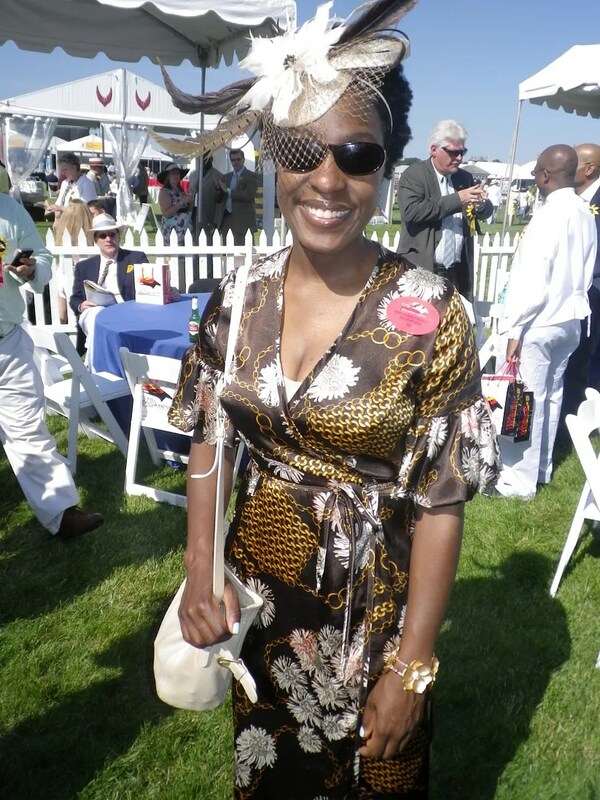 The fascinator is a WOW also!